What supports are available to IFC foster parents? 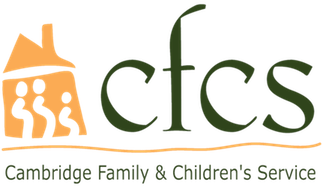 • Family Resource Coordinator – Each family is assigned a Family Resource Coordinator who is familiar with your home, your family, and your needs. They will meet with you in the home every month, at least. If you need more support you can reach out to this person any time. • IFC Social Worker – Each youth has a social worker from CFCS assigned to provide thorough case management and support to you and the youth. They will visit you in the home each week, help to assess the youth’s needs and identify appropriate services, coordinate appointments/services, and be available to provide support and guidance. A social worker will come to your home 48 hrs after a youth is placed. • Trainings - Foster parents are required to complete 20 hours of training per year. The IFC team coordinates free trainings that are held during the day, evening, and on weekends. These trainings insure that foster parents continue to learn, develop news kills, and are kept up to date on relevant topics related to providing care for a foster youth. • Problem Solving Group – Foster parents gather several times per month in the community and at the office to share ideas and receive support and guidance. • Activities – The IFC staff frequently schedule free activities for families and children. These are a great opportunity to build stronger relationships with other foster parents and for youth in foster care to build a community. • Respite – In the event of an emergency or when it is necessary to take a break, CFCS will arrange for your foster youth to be placed in another foster home temporarily. • Emergency on-call system available 24-7.